When was the last time that you got your website redesigned? Or you didn't even give a thought to it? If not, then you must pay attention to it now. May it be a commercial website or any other web development website, keeping your website up to date with the latest technology trends has become a necessity. Otherwise, you'll be left out of the competition and might not gain customers attention in the coming time. What is the need for redesigning your website? Before taking a decision about whether to get services from a particular website or not, what makes you choose that website? Or what reasons let you leave a website? Either you aren't able to locate the services you are looking for, or the pages load slower. Isn't it? So, it's time that you get your website re-designed instantly and meet up the required demands of the present times. But now you would be wondering that how would I know that my website is outdated and needs a redesign. Right? Here's a list of most significant signs which reflects that your website needs a redesign now! Your website looks outdated: Reaching a store after a long time and seeing the same things all over will never excite you. Rather it's a sign that the store didn't develop in the recent time. Isn't it? Same goes for your website. Every time a customer re-visits your website, he is expecting a newer and a more advanced version of your website. Then may it be the content, coding, or the framework, you need to stay updated and present the latest view of your website. The site takes longer loading time: If your website doesn't display instant results and is taking minutes to display it, then don't expect that the user is going to wait for the pages to load. Rather he is going to switch to another website for better services. So, if your website pages are not loading quickly, it's high time that you need to take it seriously and work upon it now. The website is difficult to navigate: Your website might have several services and other relevant pages including about us, pricing plans, demo, services and what not. But if they are not easy to navigate, then your website is not worthy enough. You need to make them easy to navigate for customers ease, nobody likes complication in the ever running and busy world. The website still holds the outdated content: Displaying some services or plans which no longer exist in your website is such an irritating thing for the customers. Nobody has enough time to spend on the irrelevant services which you don't offer anymore. It's time to update complete data over the website and display accordingly. Your website isn't responsive: There are chances that your website isn't mobile-friendly and is accessible only through PC or laptops. This will leave a negative impact on your customers as a majority of them look up for websites through their smartphones, instead of spending hours on PCs. You need to consider this point on a serious note and take action. The website has no SEO Movement: If your website is no more getting attention from SEO point of view, you stand nowhere in the industry. You need to immediately work upon it and make your website is SEO friendly to attain better customer attention in future. Carrying out changes seems difficult: If carrying out changes like modifying a service page, blog field, or even adding a field seems difficult and consumes time, then something is wrong. You need to make an update immediately with your website. 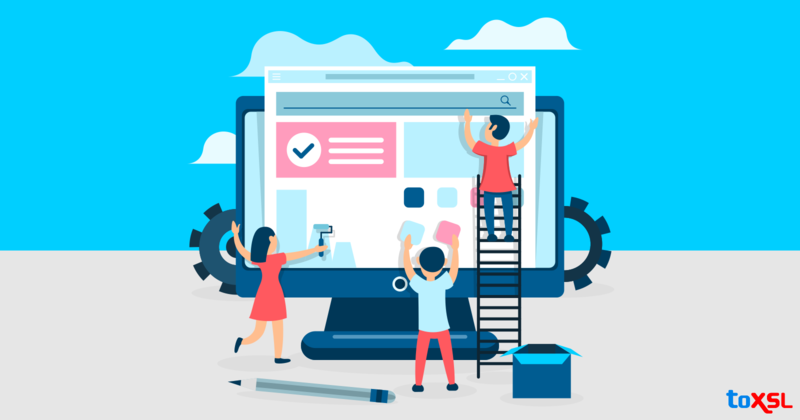 Your website is lagging with the competitors: Have a look at your competitor websites thoroughly, if they have a better framework, page designs, and layout that means you are staying far behind the race. You need an immediate update to stay within the competition. If your website holds any of the above sign, then you must get your website redesigned immediately. It is a crucial step to take your business to the next level and surprise the customers. Looking for a website redesign company? You can rely on us. We have been the leading web development company which deals with the website redesigning services for all kind of websites. Have any queries? Feel free to reach us at any time, we'll assist you with 24/7 response.